Hello friends, hope you are enjoying your weekend. 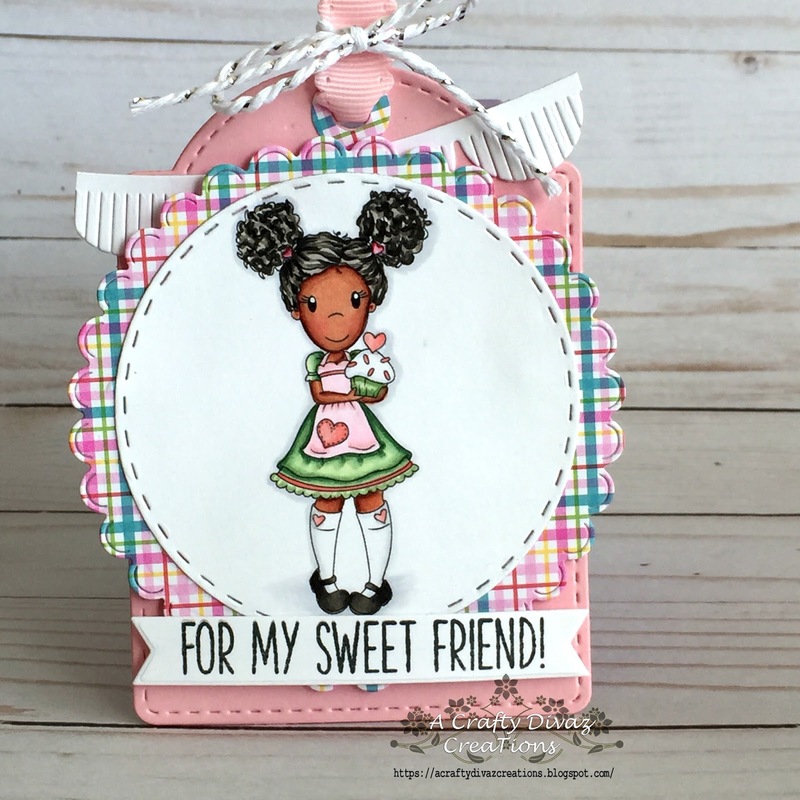 I wanted to share a birthday tag using Cupcake Amara from The Papernest Dolls. I just love creating projects with Amara, she is such a cutie. I needed to make some tags and this image was perfect for what I needed. I used the arch tag dies from pink and main for the tag. 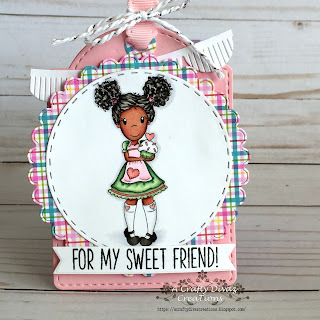 I used papers from doodlebug cream and sugar collection. I love the color combination in this paper collection. I colored her up using copics and cut her out using a jaded blossom's stitched circle die. I layered a scalloped circle die cut from jaded blossom behind the image along with the fringed banner from my favorite things. I added the sentiment which is from my creative time to the bottom of the tag to finish it off.